I saw this picture on Tumblr and I became obsessed! I instantly wanted to re-create it. To re-create this look there are a few ways you can do it. First you need an embellished sweatshirt or sweater. My favorite ones are from J Crew however you can get them from a lot of different places. 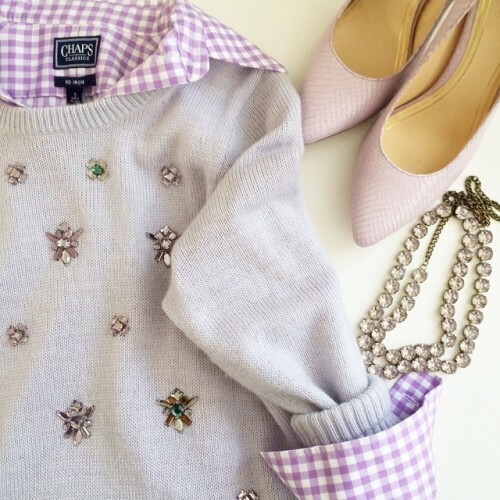 I think an embellished sweater is a great way to add some sparkle and bling to your look. Next you need a checkered shirt or gingham button down shirt. I think layering this with the sweater is a great combination. 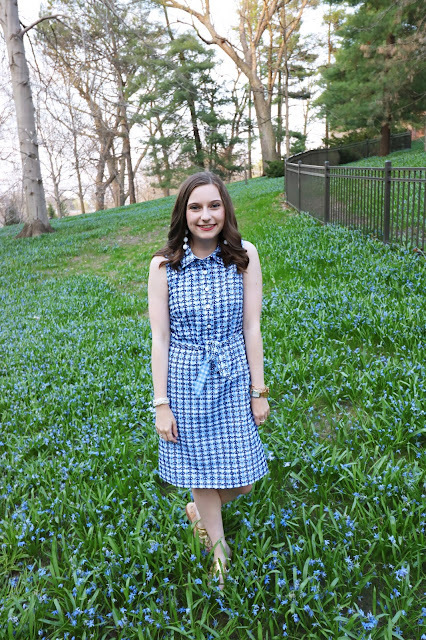 It's super cute and not to mention preppy! You can also layer some necklaces to add an extra layer of sparkle and texture. For bottoms you can wear whatever you please. However, I think it looks best with a great pair of jeans. When it comes to shoes you can wear a fun pair of pointy toe pumps.